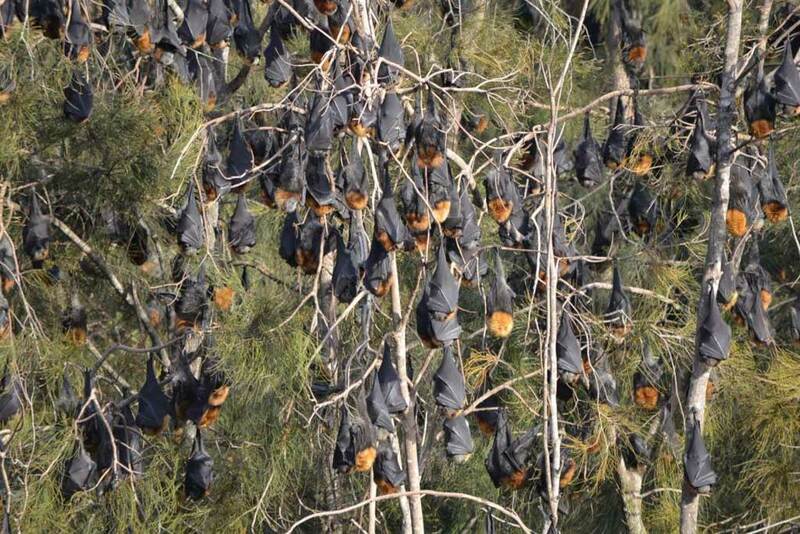 An Australian town is in a 'state of emergency' because it has been overtaken by a swarming mass of 100,000 bats. 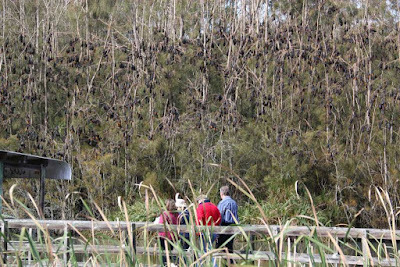 The grey-headed flying foxes are overrunning Batemans Bay in New South Wales and the problem is so bad they are on almost every surface and in every tree. Danielle Smith, who lives in the plagued town, said: "I can't open the windows, I can't use the clothes lines, it's just, I can't study because the noise just goes constantly. I can't concentrate. It's not fun." She added: "The bats came and they are just out of control. We just can't do anything because of them." Russell Schneider, of the Flying Fox Task Force, said: "This is the biggest, this is unprecedented. They've never been seen in these numbers." A statement from the task force said many of the townspeople felt 'isolated, powerless, and many had become prisoners in their own homes'. 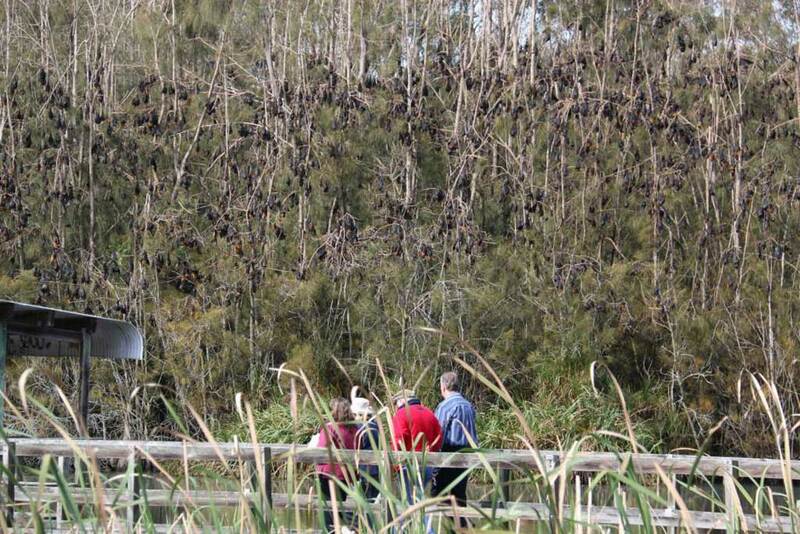 Officially, the grey-headed flying foxes are listed as a vulnerable species so authorities cannot kill them. Instead, they are considering deterring them using smoke and noise. One approach under consideration is clearing all the local vegetation and officials have already started chopping down trees. 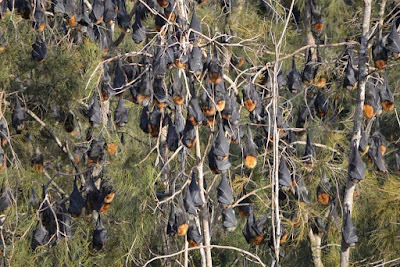 Animal rights groups are insisting that patience is the only thing that will work, saying the bats will move on of their own accord when ready. But people who live in the town are desperate for a solution.